Applies from Fri 1 Feb 2019, 1.00am to Wed 31 Jul 2019, 11.59pm. Last reviewed: Thu 18 Apr 2019, 10.26am. 1080 fox baiting program will occur from Friday 1 February 2019 to Wednesday 31 July 2019 in Sydney Harbour National Park (Chowder Bay, Dobroyd, Bradleys, Georges, Middle and North headlands). The 1080 poison (sodium fluoroacetate) will be buried baits or ejector capsules which are laid on tracks and trails. Do not touch baits or ejector devices as they contain poison. The 1080 poison is lethal to dogs and cats, and pet owners are reminded that domestic animals are not permitted in national parks. Penalties apply for non-compliance. 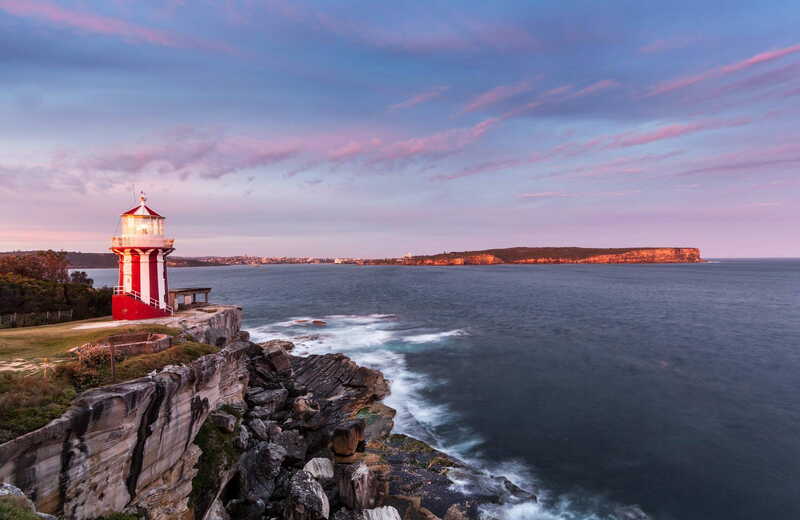 For further information during business hours please call the NPWS Sydney North (Middle Head) area office on 02 9960 6266 or visit the NSW National Parks safety page for park safety guidelines. Applies from Wed 5 Dec 2018, 7.23pm. Last reviewed: Tue 5 Feb 2019, 11.57am. Applies from Mon 9 Jul 2018, 11.06am. Last reviewed: Fri 4 Jan 2019, 4.09pm. Fort Denison is closed to visitors until further notice, due to site maintenance. Penalties apply for non-compliance. For more information, call the NPWS Vaucluse area office on (02) 9337 5511 or visit the NSW National Parks safety page for park safety guidelines. Applies from Tue 23 Aug 2016, 10.51am. Last reviewed: Fri 4 Jan 2019, 4.43pm. Collins Flat Beach is currently unavailable for venue hire. This is due to the impact of high visitation on the critical penguin habitat at this location. This closure will be reviewed at the end of the breeding season in February 2019. Penalties apply for non-compliance. For more information, please contact the NPWS Mosman area office on (02) 9960 6266 or visit the NSW National Parks safety page for park safety guidelines. On Monday 29 April 2019, around 400 people are expected to attend an event in Kamay Botany Bay National Park. The event will run from 11am to 1.30pm and is called The Meeting of Two Cultures: Remembering Cooks Landing. The event will be held near the water in front of Solander plinth, next to the rangers cottage of Commemoration Flat. The event will be followed by talks and tours around Commemoration Flat, including Burrawang walk. For more information, call Kamay Visitor Centre on 02 9668 2000. Inscription Point track will be closed between Inscription Point carpark and the rock platform from Monday 29 April to Friday 26 July 2019. This is due to track upgrade works. For more information, call the NPWS Kurnell office on 02 9668 2005. The whale viewing platform at Cape Solander is closed from Friday 5 April to Monday 29 April 2019 for structural repairs. Casuarina track between Carrol Creek and Davidson Picnic area, Forestville is closed indefinitely due to the removal of the stairway down to the picnic area after safety concerns. Lyrebird track is the recommended alternative access which connects to the Governor Philip Walk or Ferguson Street. Penalties apply for non-compliance. For more information, please call the NPWS Forestville office on 02 9451 3479 or visit the NSW National Parks safety page for park safety guidelines. 1080 fox baiting program will occur from Friday 1 February 2019 to Wednesday 31 July 2019 in Lane Cove National Park. The 1080 poison (sodium fluoroacetate) will be buried baits or ejector capsules which are laid on tracks and trails. Do not touch baits or ejector devices as they contain poison. The 1080 poison is lethal to dogs and cats, and pet owners are reminded that domestic animals are not permitted in national parks. Penalties apply for non-compliance. For further information during business hours please call the NPWS Sydney North West (Lane Cove) area office on 02 8448 0400 or visit the NSW National Parks safety page for park safety guidelines. 1080 fox baiting program will occur from Friday 1 February 2019 to Wednesday 31 July 2019 in Garigal National Park. The 1080 poison (sodium fluoroacetate) will be buried baits or ejector capsules which are laid on tracks and trails. Do not touch baits or ejector devices as they contain poison. The 1080 poison is lethal to dogs and cats, and pet owners are reminded that domestic animals are not permitted in national parks. These upgrades are almost complete, however not officially open. NSW National Parks apologises for any inconvenience this might cause. For more information please call the NPWS Greycliffe House office on 02 9337 5511. Swimming is not advisable in Bewrowra Creek at certain times as the water may be subject to variable pollution levels. Please refer to the Hornsby Shire Council website before swimming in Berowra Creek. Penalties apply for non-compliance. For more information, contact the NPWS Chatswood area office on (02) 8448 0400 or visit the NSW National Parks safety page for park safety guidelines. Sugarloaf car park is no longer open to the public. We apologise for any inconvenience. For more information, please contact Valleys Area office on 02 8448 0400 or visit the NSW National Parks safety page for park safety guidelines. 1. For public safety, the eastern section of Malabar Headland National Park is closed during ANZAC Rifle Range operations. These closures may occur with little or no notice. Park entry gates are closed. 3. When is the eastern section of the park closed? 3rd Sunday of the month. However, Sunday 21 April 2019 is Easter Sunday, and there will be no shooting on that day. These closures apply to the eastern section of the park only (Boora Point walking track). The western section of the park (Western Escarpment walking track) remains open. The range operation schedule is provided by the NSW Rifle Association. To contact the ANZAC Rifle Range, call 02 9661 4532. To contact the NPWS area office, email the Environment line or call 02 9337 5511. Walkers heading west should exit Flat Rock track at the eastern end of Killarney Drive and use Killarney Drive until you reach Downpatrick Street. Then walk down the street and re-enter Flat Rock track from the Downpatrick Street fire trail. Walkers heading east should exit Flat Rock track at the Downpatrick Street fire trail and use Downpatrick Street, then Killarney Drive until you reach the end of Killarney Drive. Re-enter Flat Rock track from the Killarney Drive entrance. For more information, please contact the NPWS Ku-ring-gai Chase area Forestville office on (02) 9451 3479. Please note: this does not apply to bookings- toilets will be opened for any bookings. For more information, please contact the NPWS Valleys Area office on (02) 8448 0400.